What can be better than a custom portrait? 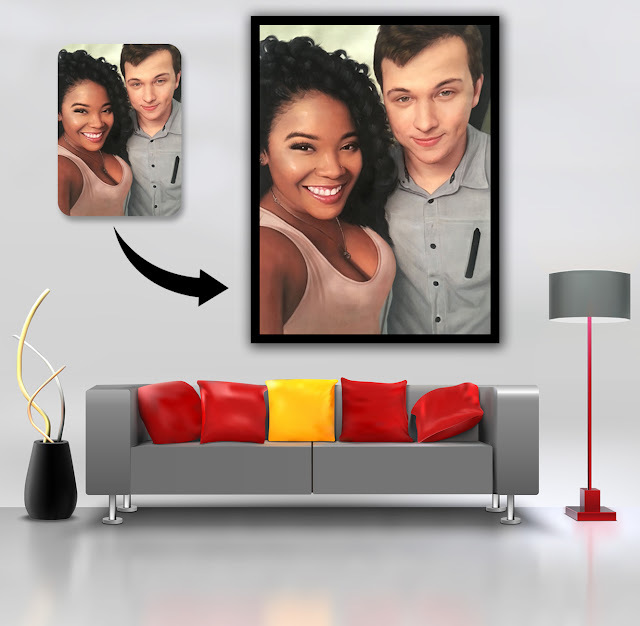 Surprise your partner with an uncommon gift by turning your photo into painting. A custom portrait is a perfect one to leave your partner awestruck this valentine! Portrait paintings are the best tool to describe your feelings and emotions. It expresses the amount of love a heart can hold without saying a single word, And as we know paintings don’t need description, they speak it-self. So shower your love by giving a painted portrait to your better-half this season. This is a cute present you can gift your loved one this valentine. Showpieces have always been legendary whether it’s an occasion of valentine, anniversaries or birthdays. This will ring a message to your partner that your love will forever be alive. 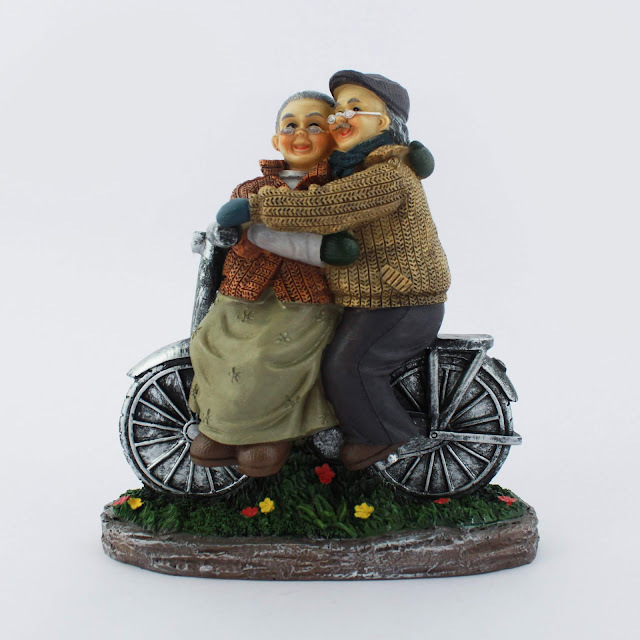 Let them see a future moment, when you both will grow older together, riding a bicycle someday. So gift a sign of your immortal love to your dear one! 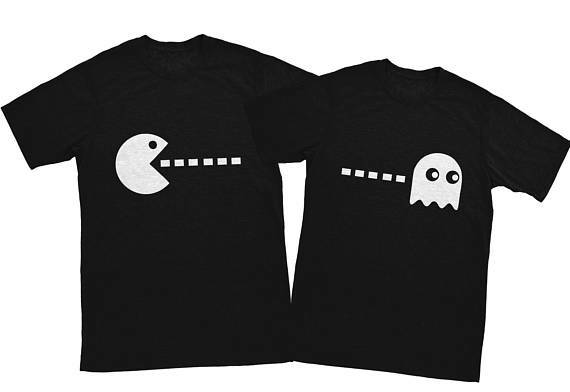 If you want to gift your partner something beside flowers and stuffed soft toys, a couples Pac-man t-shirt would be the coolest one among all. These t-shirts are damn cool as well as perfect to show-off your forever bond. 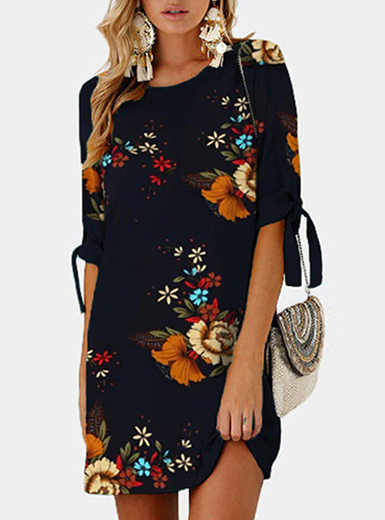 Couple tees has always been trendy these days whether on social networking sites or on the streets. It’s a new way of saying that the person beside you is only yours without expressing in words. So buy these couple t-shirts and click photos to bang the social sites with your lovey-dovey! This is a unique and smart present for your valentine. 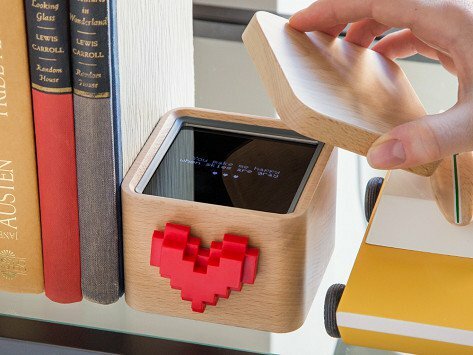 It is a digital box to send your partner a classic love note. When you send a new message through the app, the heart made on the box spins to alert the receiver. Then the object of your affection opens the box to read the message on the mirrored screen inside. They can reply with love messages by spinning the heart & send digital hearts to you. It is the most trendy and uncommon gift that can surprise your beloved. It does not matter how far your partner is, you can bring smile by sending hearts to your dear one every morning. 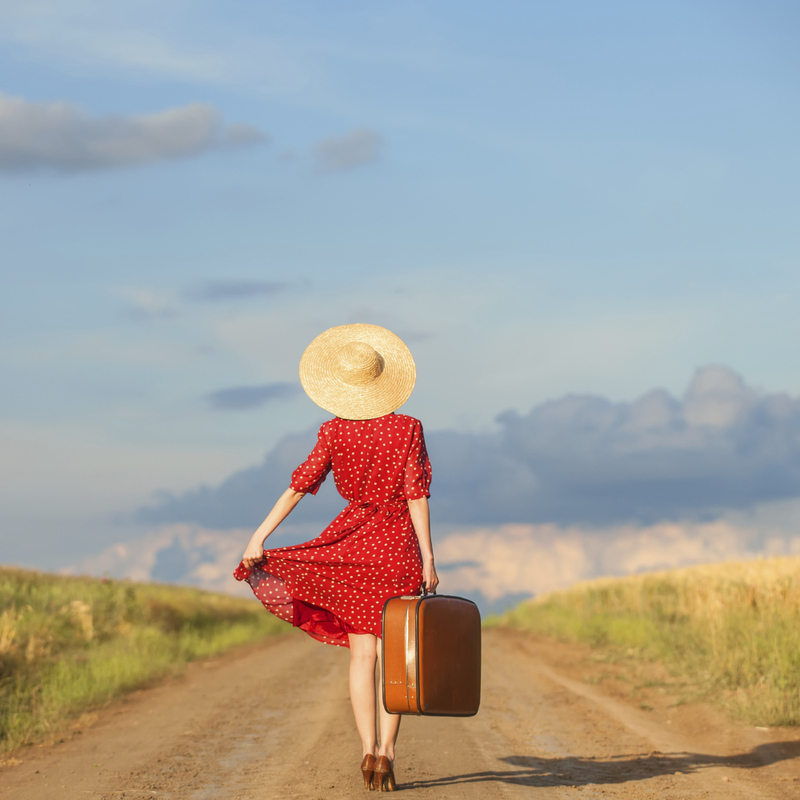 In today’s digital trend, it does not matter that how far your loved one is. We have so many ways to be in contact all the time to make them feel that they are not alone. 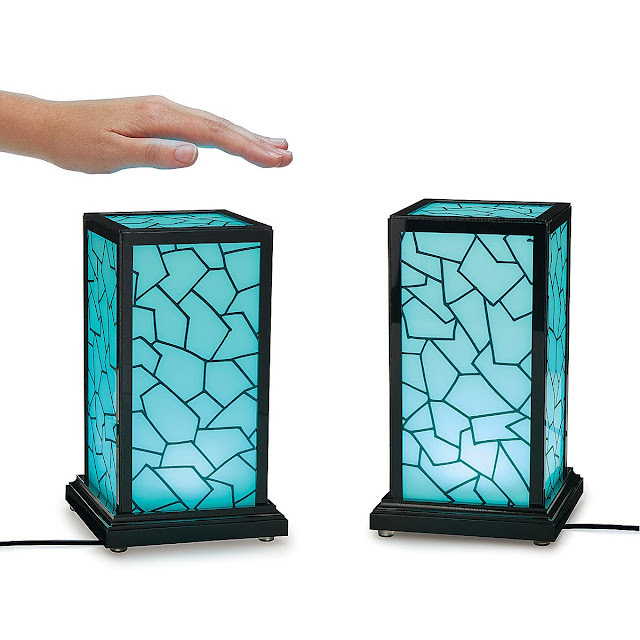 This long distance touch lamp is also a medium of expressing love to your dear ones living far away from you. If you tap your lamp, the second lamp would light up at the other end & if your loved one taps the lamp, the other one will light up at your place with the help of a Wi-Fi connection. Isn’t it so romantic? You can feel the warmth of love being so far. If you are in a long-distance relationship, believe me this unique gift is definitely for you to shower your romanticism. These are some unique gifts for your valentine to make them feel special and lucky to have you. We all know that love is infinite.